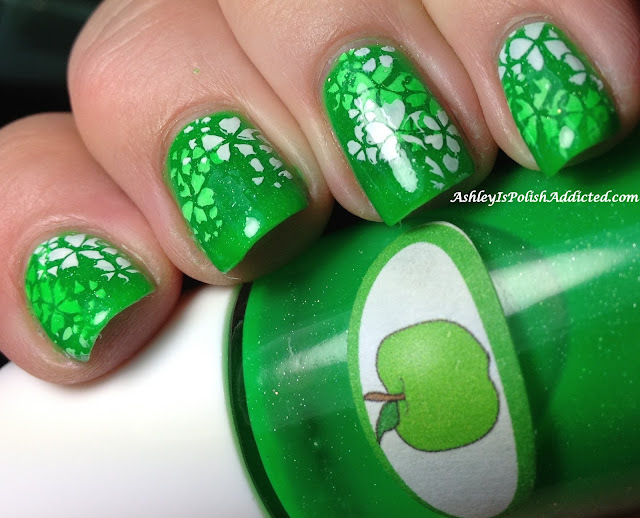 For this mani I used 2 coats of Green Apple as my base, did a layer of stamping, added one more coat of Green Apple, one more coat of stamping and then topped it off with one coat of regular topcoat. I LOVE it and you will probably be seeing more of this type of mani from me! What do you think of the "stampwich" trend? The Nail Junkie polishes are available at The Nail Junkie Etsy Store here. 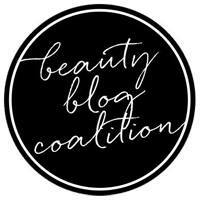 Make sure you follow her blog and Facebook page for updates and announcements. She just launched a new collection last night as well as re-stocking her other polishes (including her jellies) and introduced Cutie-Drops which I am so excited about! I've never heard of this trend either and I love it !!!! This green is so juicy looking too! Your stampwich looks awesome, I have to try it, too! Wow, her polishes work really well for this technique! love the base color, so pretty! Lovely! 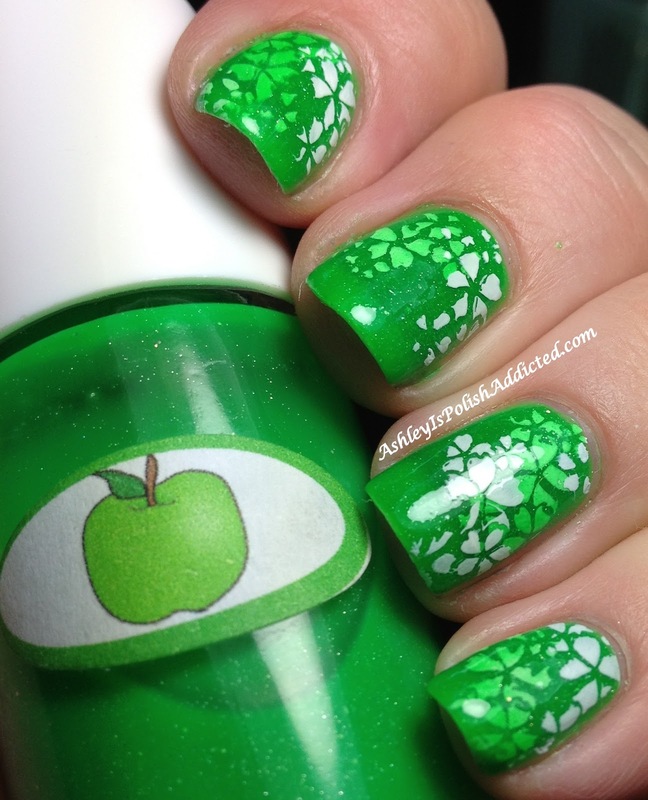 Is the first stamp still in white and then one coated over with Green Apple?